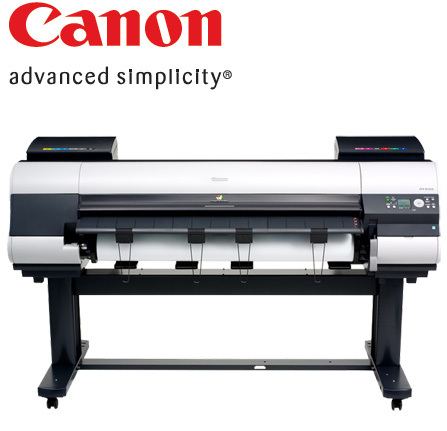 GMS offers Canon imagePROGRAF (iPF) wide format printers range for for Aqueous printing. We are the country’s leading seller and specialist in the pigment based Canon imagePROGRAF series and the only known Australian source of formal class based education concerning reproduction using with these devices. GMS backs the Canon 12 color wide format machines because of our clear industry leading abilities to print photo quality inkjet canvas at lower costs and higher speeds than all other brands using only the factory supplied drivers. Rather than be swayed by extensive marketing campaigns or personal bias, as creators of media we use all three major brands and compare results daily using our spectrometers. In most cases, when a combination of purchase price, print speed, image quality and above all ink running costs are compared we believe the Canon imagePROGRAF (iPF) series provides the best possible overall investment for printing canvas, large fine art paper and aqueous signage. GMS also supports the Epson wide format range with media, ink and education. 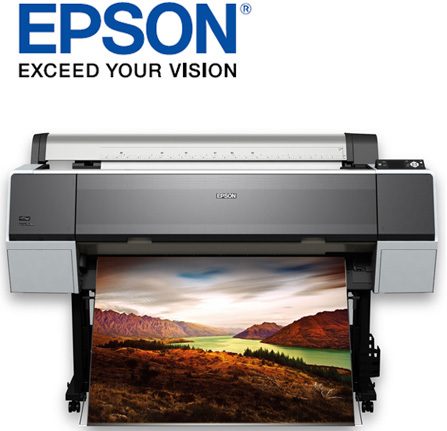 The Epson range is much improved with the addition of 10 ink machines and drastic ink price reductions. The color gamut on glossy media types is unsurpassed. GMS offers .icc color profiling for many wide format devices using GMS supplied media.